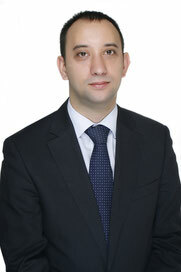 Andrei joined PricewaterhouseCoopers CIS law offices in Sakhalin in 2004 and he moved to Moscow office in 2007. Until 2010, as a lawyer of Japanese business practice team at PwC Russia, he supported a lot of Japanese clients entering into Russian market from legal perspective. In 2010, he took up the post of Managing Partner of LLC Alliance Business Group. From 2012, Andrei joined Minato Kokusai Consulting group.